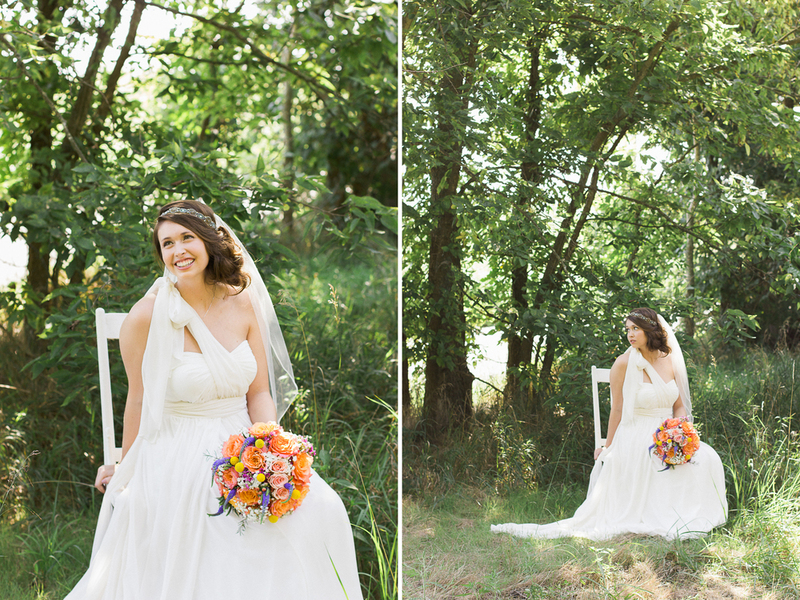 When Suzy asked me to help with this August wedding, I was thrilled. 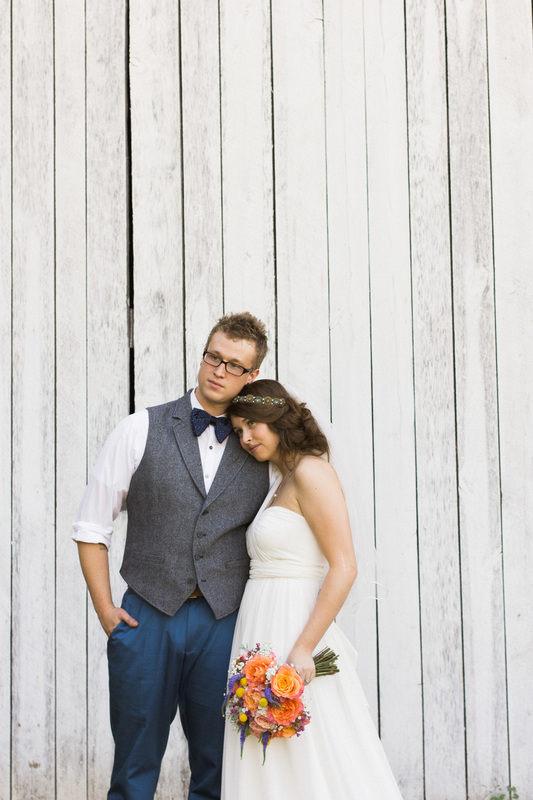 Not only was the bride and groom adorable, but Lukas and Suzy have one of the most perfect venues I have seen. If I had to get married to my handsome husband again, I would definitely do it here. The McGee House is a Civil War era estate with the perfect mix of vintage and romantic. The grounds also offer the ideal location for an outdoor ceremony and reception, with indoor locations for getting ready. This lady was a gorgeous bride. All of her bridesmaids were so sweet and made the afternoon fun and filled with laughter. Each girl picked out her own cream colored dress, and I love the variety it added! One of the sweetest parts of the day was when the bride had all of her girls pray around her before the ceremony. There were no dry eyes in the room. It was obvious how close knit this group was, and it was a beautiful moment to witness. The couple opted for a first look. Not only does this provide more time for photos, which we photographers LOVE, but the couple gets to enjoy some time together before the day gets started. I loved the groom's style. 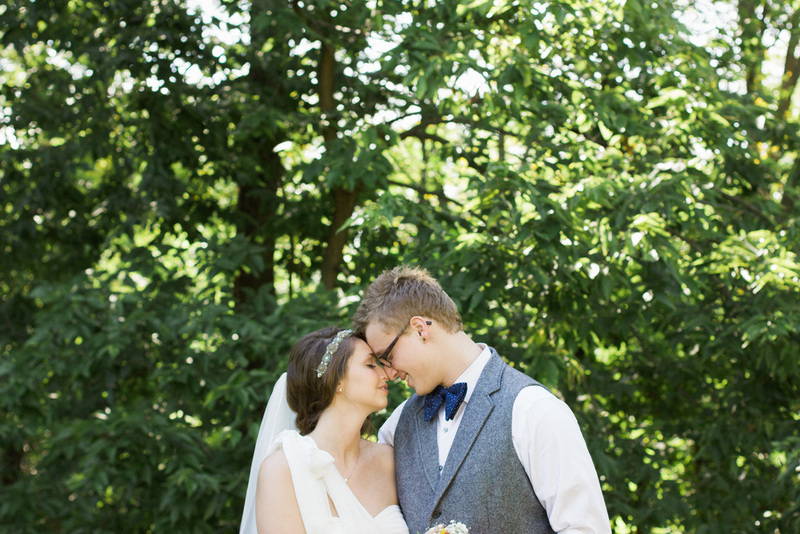 Classic with a pop of color was a perfect complement to his beautiful bride. 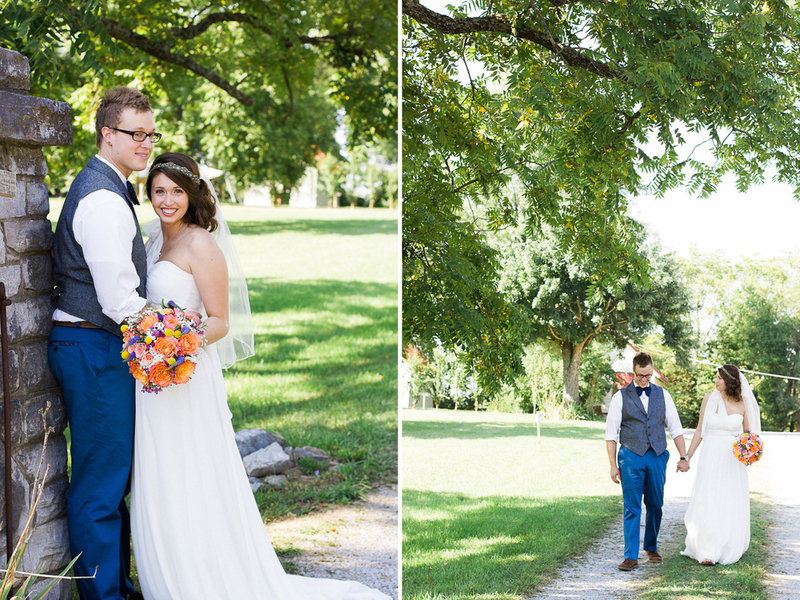 These next images were taken at the back of the McGee House with a lovely barn and open field. This was by far the largest wedding party I've seen, but it didn't feel huge. Everyone was so welcoming and fun to be around. The day just felt like a big family reunion. One of my favorite features of the house was this room with a view to the ceremony location. 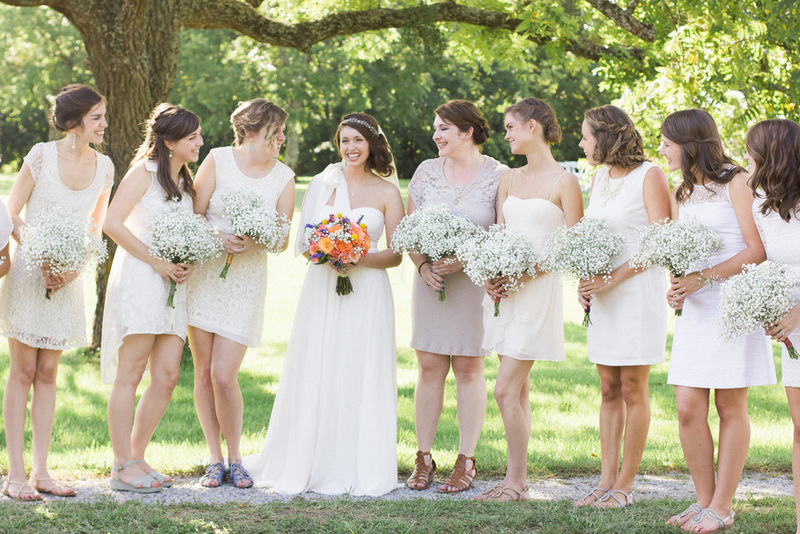 It was the perfect spot for the bride to hangout before her dad walked her down the aisle. It was so fun to peek out at everyone getting seated before things got started. These details were straight out of a magazine. And I'm a huge fan of any wedding that involves pie. The McGee house offers up to 50 eclectic ceremony chairs and vintage doors for the ceremony backdrop. 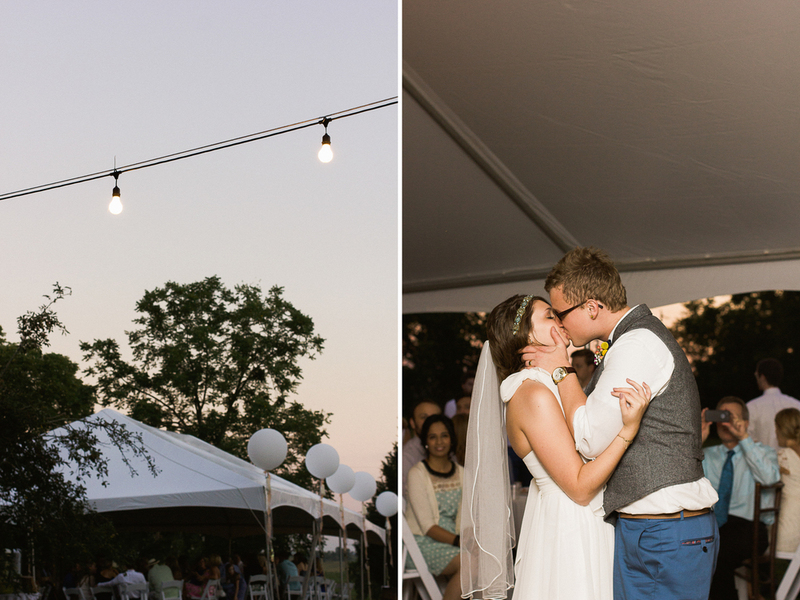 This couple added some ribbon and giant balloons for a whimsical touch. The evening ended with an outdoor reception under this white tent, ideal for a break from the summer heat. A huge thank you to Lukas and Suzy for inviting me to be a part of this beautiful day. To see more of this wedding click here. 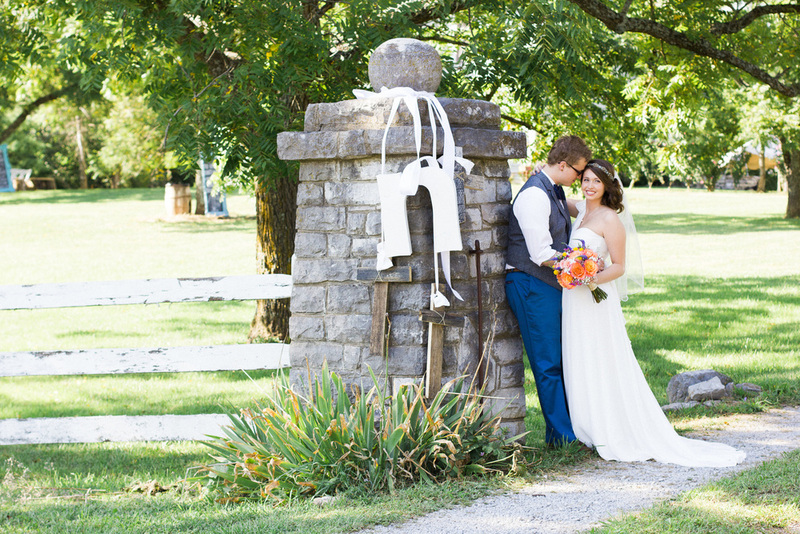 To learn more about the McGee House, a perfect wedding venue outside of Lexington, Kentucky, click here.